Years ago I found Jeanne S. when she was hauled for spring painting at Winegar’s marine railway. The railway was built in 1911 by John J. Winegar on the shore of Dymer Creek just north of the Rappahannock River on the Chesapeake By. The wooden round stern deadrise vessel was built in 1965 in the lower Bay area called Guinea. At this time the boat was owned by Captain Andrew Simmons, a local waterman. 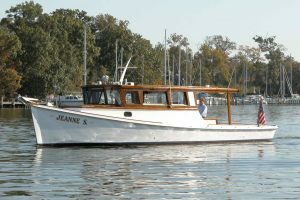 Several years ago the boat was bought by David Cottrell of Richmond and Urbanna, Virginia and was converted to a pleasure yacht for his family. 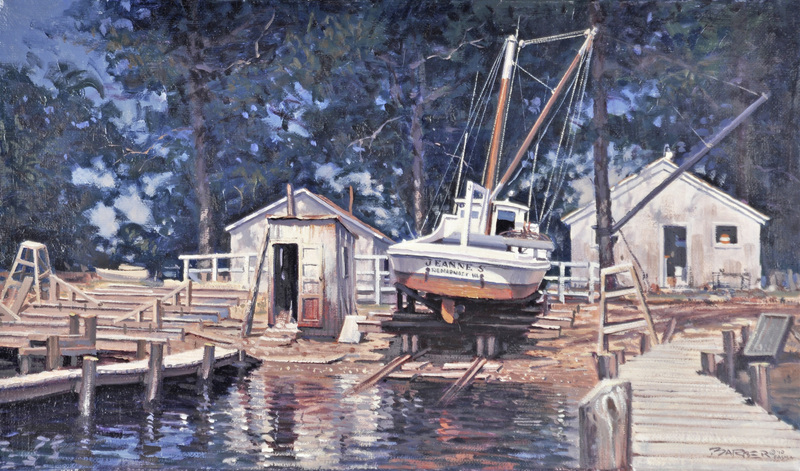 She is now berthed in Urbanna harbor just off the Rappahannock River. In this photograph we see the Jeanne S. after restoration and conversion, in 2008 with Captain Cottrell at the wheel. I recently finished this painting for the Cottrell’s collection. 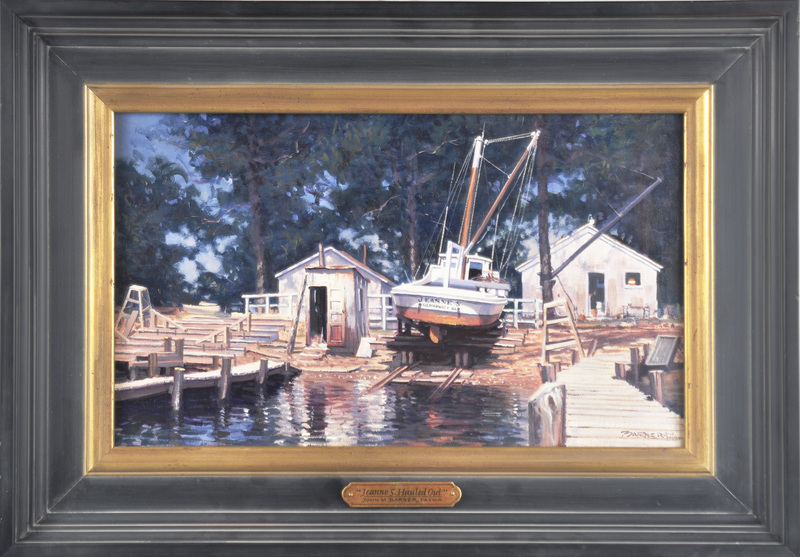 It is oil on stretched linen and measures 9” x 15”- overall framed size 14 ¼” x 20 ¼”.